Some influences on the stock market are casual, subtle or open to interpretation, but the catalyst behind the current stock market rally really shouldn’t be controversial. As far as stocks go, we have lived by QE. The only question now is, whether we will die without it. A larger version of this article appears in the fall edition of Euro Pacific Capital’s Global Investor newsletter. When the markets crashed in the fall of 2008, the Fed announced QE1, a plan to purchase $600 billion in mortgage-backed securities (MBS) and agency debt, which was later expanded in March 2009 by another $750 billion. 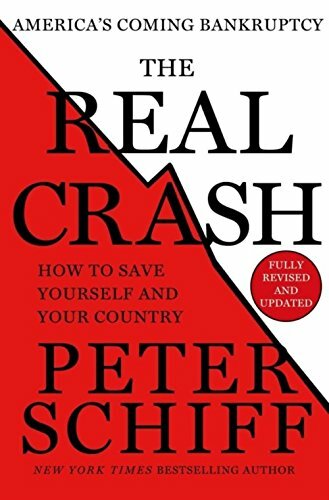 The Real Crash: Americ... Peter D. Schiff Best Price: $3.02 Buy New $10.95 (as of 04:15 EDT - Details) QE1 expanded the Fed’s balance by 247%, to $1.43 trillion. Over that time, the S&P 500 put in a rally of 71%. But from April to November 2010, with QE on hiatus and the Fed’s balance sheet hardly expanding, stocks declined by about 11%. But when Fed Chairman Ben Bernanke strongly hinted in August 2010 that the Fed was ready to launch another round of QE, the markets rallied 18% in five months. By the time QE2 ran its course, the Fed’ balance sheet had swelled by 29.4%, and the S&P 500 had rallied about 25%. But when the curtain came down on QE2, and Wall Street had no hints that an encore was imminent, the S&P 500 put in a wicked 16% sell-off between July and August 19. So on September 21, 2011, Bernanke announced the implementation of “Operation Twist,” authorizing the purchase of $400 billion of long term Treasury bonds financed by the sales of shorter term bonds, thereby extending the average maturity of the Fed’s portfolio and lowering long term interest rates. It was hoped that Twist would offer the benefits of QE without expanding the Fed’s balance sheet. Once again the markets responded, rallying about 25% from the end of September 2011 to the end of April 2012. But when Operation Twist stopped twisting, another sell-off predictably ensued. 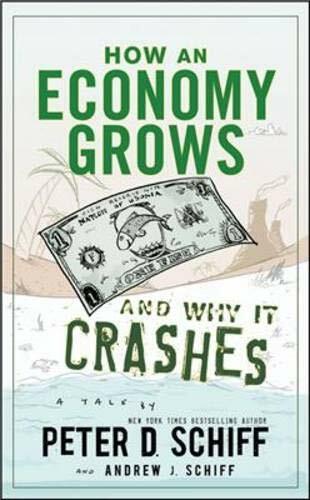 From April 27, 2012 to June 1, How an Economy Grows a... Peter D. Schiff, Andre... Best Price: $2.73 Buy New $5.95 (as of 01:20 EDT - Details) 2012, the S&P dropped 9%. So on June 20, 2012 the Fed extended Twist to the end of 2012, which sparked a summer rally that helped stocks regain all the losses from earlier in the year. But by September the rally slowed and another fall threatened. Perhaps the twisting wasn’t enough? At this point I believe the Fed finally understood: No stimulus, no rally. And so on September 13, 2012, the Fed announced QE3, an open-ended commitment to purchase $40 billion agency mortgage-backed securities per month. This eliminated the need for embarrassing QE re-launches every time the markets or the economy stalled. But the $40 billion monthly rate was apparently not enough to move stocks. From the time of the announcement to the end of 2012, the S&P declined about 2.3%. So then on December 12, 2012 the Fed doubled the size of QE3 to $85 billion per month. The rest is history. Since the launch of QE3, the U.S. has seen lackluster economic performance, a deteriorating geo-political landscape, and, somewhat incongruously, a nearly relentless stock market rally. By the time that QE3 ran its course last month the Fed’s balance sheet had expanded by another 63% (to $4.2 billion) and the S&P 500 had surged 36%. Although the rally in stocks continued during the taper of QE, the rate of increase slowed along with the rate of balance sheet expansion. 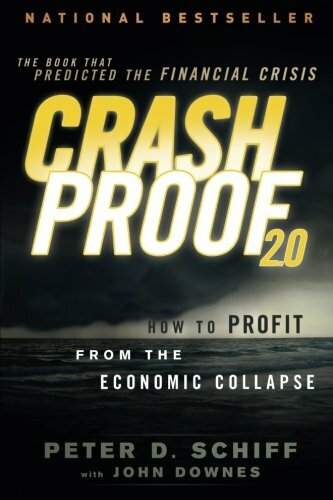 Full throttled $85 billion per month QE persisted from September 2012 to December Crash Proof 2.0: How t... Peter D. Schiff Best Price: $2.34 Buy New $6.08 (as of 06:05 EDT - Details) 2013. During that time, stocks rallied about 26%, and the Fed’s balance sheet grew by 45% to $3.7 trillion. Since the taper began (to the end of the program in October), however, the Fed’s balance sheet has grown just 12% (through October 22, 2014), with the S&P 500 virtually matching that with a 12% increase. Very neat correlation. But now that QE is apparently a thing of the past, it is alarming how little anxiety has been sown on Wall Street. To be bullish on stocks now, one must completely ignore not only the role QE played in driving up stock prices over the past six years, but discount any negative effects that a reduction of the Fed’s balance sheet could create. Most economists recognize that to normalize policy the Fed must reduce the amount of securities it holds. Logical analysis should lead you to believe that stocks would not fare well. But this does not mean I predict a crash in stocks. I simply expect, as no one else seems to, that the Fed will go back to the well as soon as the markets scream loud enough for support. At that point, it should become clear to everyone that there is no exit from the era of QE and that there is nothing normal or organic about the current rally. It’s also possible that the Fed will re-launch QE even if stocks don’t fall. That’s because low inflation is conveniently emerging as its biggest fear. However, in another article in my newsletter, I show that this concern is a recent development designed to prepare the country for more stimulus, even if the stock market says we don’t need it.